Beautiful handcrafted serving tray, printed with Mary Kilvert’s Swallows illustration. 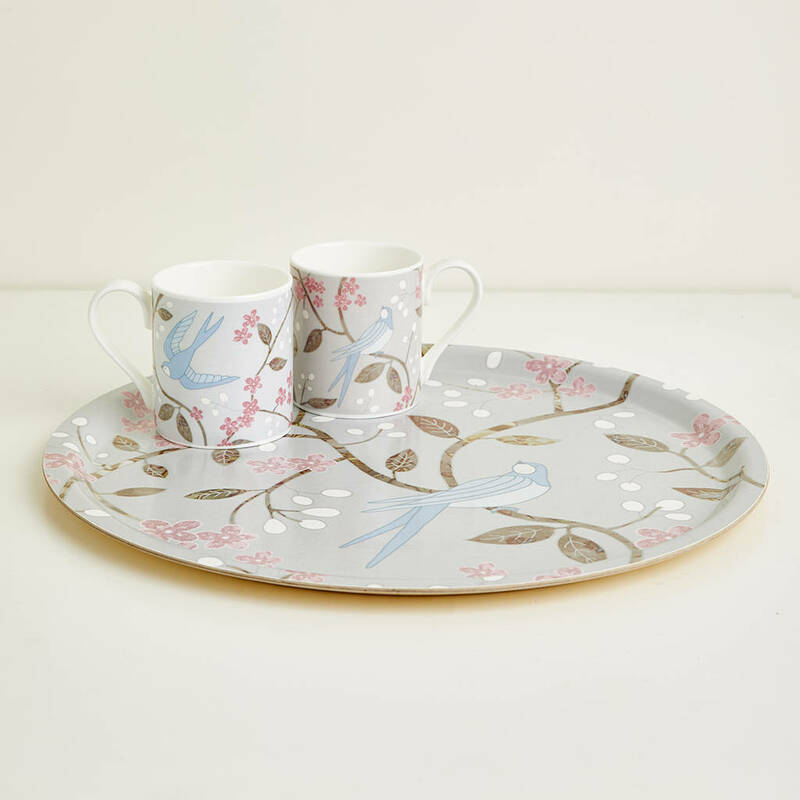 The Swallows tea tray features Mary’s design created for the Summer Garden Collection. 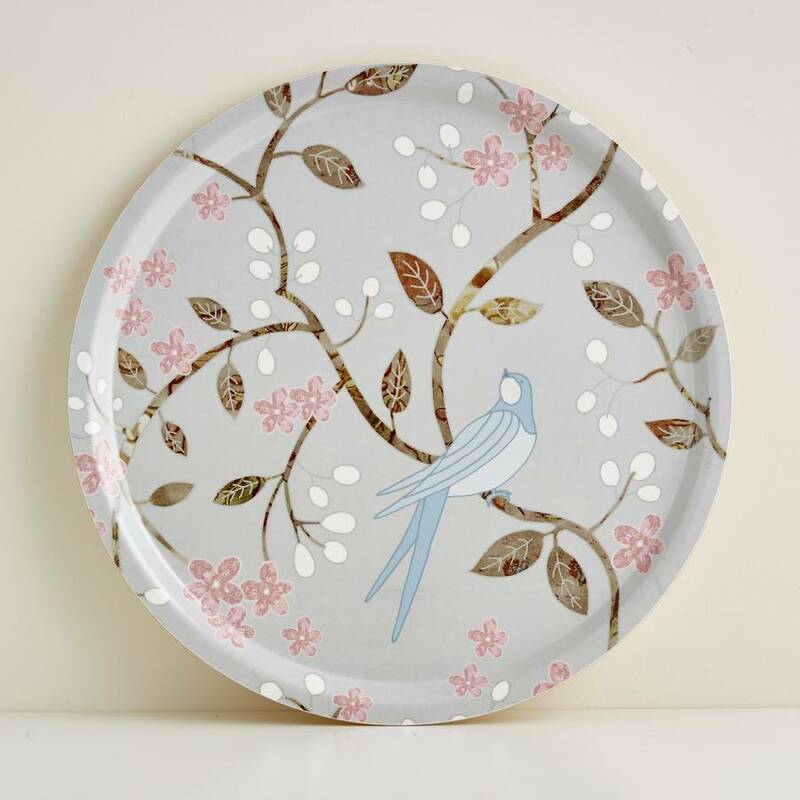 The beautiful and delicate design was inspired by the swallows that circle above her studio in Somerset and is available on a range of products. Beautifully handcrafted using Birch wood from sustainable forests. This Swallows tray is dishwasher proof. This product is dispatched to you by Mary Kilvert.